Optimal concentration: 23mg/ml cross-linked hyaluronic acid. X-HA3, the anti-aging results FILORGA for natural, harmonious and sustainable solution. FILLMED® X-HA 3 is used to erase wrinkles and restore skin volume instantly. FILLMED X-HA 3 is primarily used in the cheeks and lips and consists of cross-linked hyaluronic acid which is the first polyvalent cross-linked hyaluronic acid filler. HyaLuronic acid dermal filler Fillers Filorga X-HA3 contain hyaluronic acid and are used to make instant corrections wrinkles, restore skin volume and contouring face. 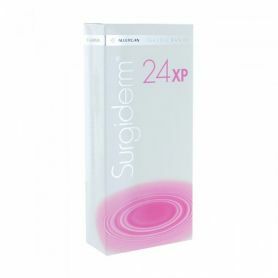 X-HA3 is a medical product designed for use in procedures that aim to fill lines and skin depressions. X-HA3 , the anti-aging results FILORGA for natural, harmonious and sustainable solution. 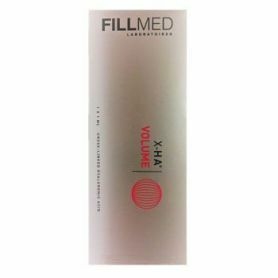 FILLMED® X-HA 3 is used to erase wrinkles and restore skin volume instantly. 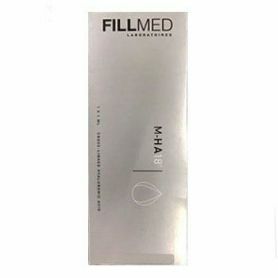 FILLMED X-HA 3 is primarily used in the cheeks and lips and consists of cross-linked hyaluronic acid which is the first polyvalent cross-linked hyaluronic acid filler. The dermal filler range developed by filorga is formulated with highly purified hyaluronic acid grants 100% non animal origin. Combination of cross-linked and non cross linked hyaluronic acid. Exclusive formulation adapted to different depths. High molecular weight: 2,5 millions daltons . Maximal purity: The amount of proteins contained in X-HA3 is one of the lowest on the market. A perfect compatibility to reduce to the maximum risks of hypersensitivity, inflammation and secondary reactions. The visco-elastic qualities of dermal fillers to give them unique characteristics suited to each indications, with a maximum remanence. Particular attention is brought to homogenisation of X-HA3® during its manufacture: two supplementary phases of homogenisation have been added to achieve one of the most homogeneous gel on the market. This exceptional homogeneity allows safe and controlled injections as well as a natural and harmonious result guaranteed with each syringe. To correct wrinkles and restore facial volume instantly, Filorga laboratories innovate with the first hyaluronic acid crosslinked versatile X-HA3. Injected along the wrinkles, hyaluronic acid plumps the inside, injected into the cheeks, he reshapes and redefines facial contours, in the lips, it restates their contour and gives them a natural curved. Nasolabial folds.Marionette lines.Facial contours.Peribuccal wrinkles.Cheekbones.Tear trough.Glabella.Labial commissures Lip volume. Filling medium and deep surface wrinkles. Contours and volume of the lips. Deep hydration. can be injected in middle and deep dermis. 1 session + possible editing to 3 weeks. Only a small quantity of X-HA3® is sufficient to create a volume able to lift tissues in order to correct medium and deep wrinkles. obtained thanks to an important molecular weight combined to a high concentration of hyaluronic acid and an adapted cross-linking. Once injected, X-HA3® gel can be sculpted, modeled and easily positioned in tissues, so that it re-creates harmonious contours of the face. This high modelling capacity allows the treatment of the medium depressions with natural effects. Thanks to an exceptional homogeneity, X-HA3® gel has an equal consistency and a uniform density, allowing a precise and regular injection, for natural results.